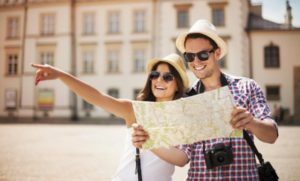 For unforgettable tours and sightseeing transportation catered to groups large or small, look to Limo Service Rental to deliver the perfect touring vehicle to meet your unique needs. Passengers will delight in the opportunity to sightsee throughout the city or across the countryside and enjoy views out the sizable picture windows of our first class touring motor coaches. Small groups may prefer to utilize one or more of our premier executive vans for a more personal experience. At Limo Service Rental, all of our touring and sightseeing programs are custom designed to your specifications, providing you the opportunity to control the pickup points and planned stops unlike in a scheduled itinerary. We are proud to say we can accommodate groups of any size as well as any special requests you might have. Our luxury sightseeing motocoaches are like none other and feature comfortable plush seating, expansive picture windows, and top of the line technological amenities such as on board Wifi connection, 110 volt outlets, and advanced video and sound systems with plug-in capabilities. Motor coaches used for tours include a top notch on board PA system and fold-down video monitors with which to deliver your presentation.amenities Limo Service Rental is home to the largest and most diversified fleet of newer model vehicles in the area, all of which are meticulously and expertly maintained to our industry leading standard of safety and comfort. We offer vehicles suitable for multi-day itineraries and can arrange appropriate transportation both locally and long distance excursions for school groups, sporting team, church groups, and convention attendees. As just one sign of our commitment to your overall experience with us, we’ll always carry ample water on board for your group. Couple our extensive fleet of vehicles with a team of industry leading experts and you have a recipe for unparallelled success. At Limo Service Rental, we pride ourselves on being ‘on time every time’ and our signature and diligent attention to detail is second to none. Experience our sterling standard of personalized service beginning with our 24/7 customer care center staffed with friendly and dedicated transportation specialists to guide you through our comprehensive yet user friendly reservations process. We additionally maintain an online booking portal for your convenience and provide immediate invoicing to aid your accounting department. Limo Service Rental is well known for our reliability and flawless execution and we guarantee your transaction with us will be both adroitly coordinated and worry-free. Limo Service Rental hires only the best and most professional chauffeurs, all of which are chosen for their commitment to safety and courtesy. Our experienced and courteous chauffeurs are well trained group transportation specialists and are eminently familiar with the area and the specific logistics that are part of working with groups with large numbers of people. They will expertly adapt to your requirements and recommend dining choices, shopping centers, attractions and more to suit your group’s needs. Limo Service Rental can begin your tour with an airport Meet and Greet or deliver your group directly to the terminal at the day’s end. At Limo Service Rental our customers come above all and we heartily believe in always exceeding your expectations. We eagerly await the opportunity to demonstrate our commitment to exceptional service and impeccably organized group transportation.